What happens when you switch to a fleet of Mercedes-Benz C-Class hybrids? Although it’s a logical step toward eventual full-electric vehicle use, many business drivers still have a healthy dose of scepticism around the Plug-In Hybrid Vehicles (PHEVs) due to the assumption that their suitability and practicality is still some way off. While the many benefits of PHEVs, such as lower fuel and tax bills and lower emissions, are widely recognised, can they be a viable alternative for many company cars on the roads today? For six months, leasing company ALD Automotive allocated a fleet of 20 Mercedes-Benz C350e PHEVs to a team of company car drivers with varying driving profiles reflective of a typical company car fleet. In order to accurately monitor the performance of the 20 Mercedes PHEVs the vehicles were fitted with ALD’s ProFleet telematics device. The drivers had access to vehicle chargers at ALD’s head office and many installed home chargers with the help of the government’s Electric Vehicle Homecharge Scheme. Training was also provided to enable drivers to get the most out of their vehicle. This included information on how to charge the vehicle and efficient driving techniques such as regenerative braking. The miles per gallon (MPG) figures were impressive, with an average of 54.48 MPG overall, which rose to 56.44 after the first month. The best MPG achieved was 110.54 by a driver averaging 7,000 miles per annum (MPA) which equates to an annual fuel saving of over £200. The best MPG covering over 10,000 miles per year was 84.67mpg by a driver who does 14,000 MPA, saving over £500 in fuel per annum. 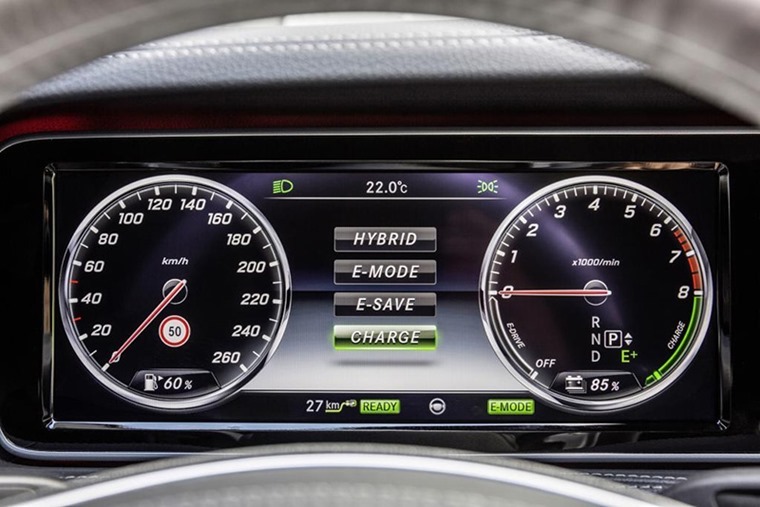 While driver behaviour and vehicle awareness were found to play a large role in the performance of the vehicles, the research confirmed that, if charged regularly and sufficiently, PHEVs can make a practical alternative right now. Matt Dale, consultancy services manager, commented: “To get the best out of this type of vehicle it is essential that drivers know how to use them and also that they adopt the right attitude. Alongside the real-world trial, ALD conducted cost-based analysis and found that by making a straight switch to a PHEV version of a popular company car model, both fleets and drivers stand to make significant cost savings. 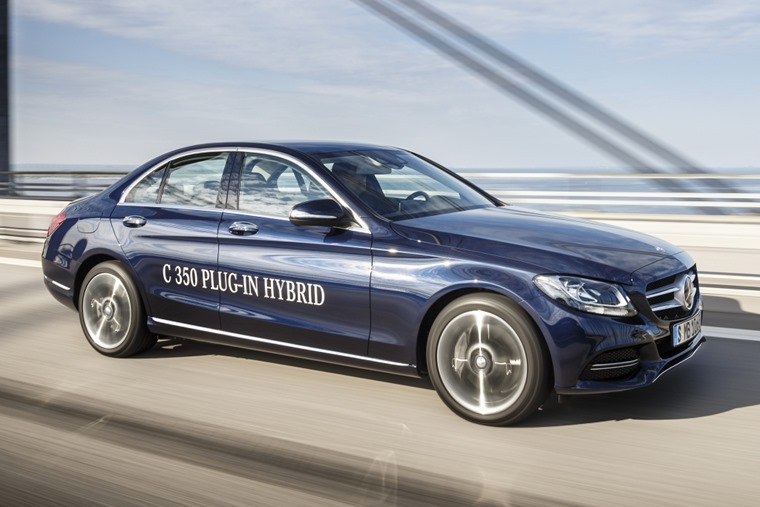 ALD calculated that drivers could make around £6,000 in Benefit in Kind tax savings by switching from a Mercedes C220d 2.1 Sport Premium Auto diesel to the comparable C350e PHEV. 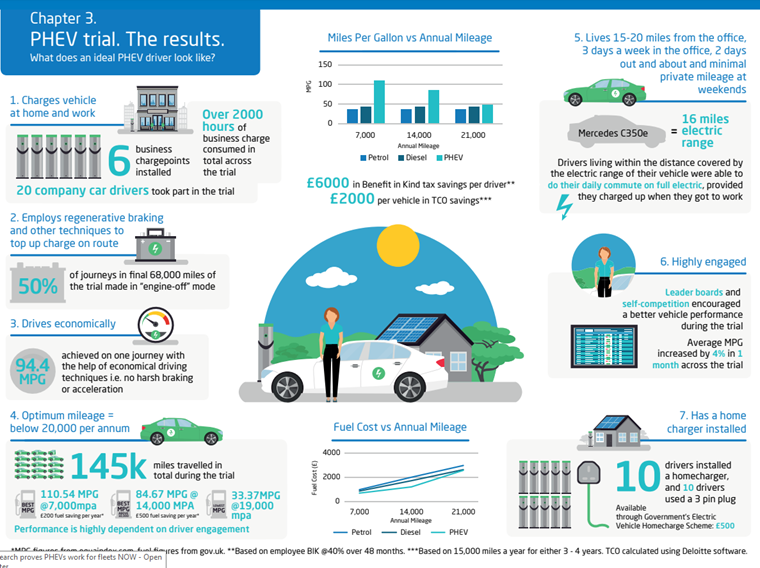 Studying the whole life cost to a fleet, running these vehicles for 15,000 miles a year for either three or four years, ALD found that businesses could save up to £2,000 for every vehicle replaced by the PHEV version. 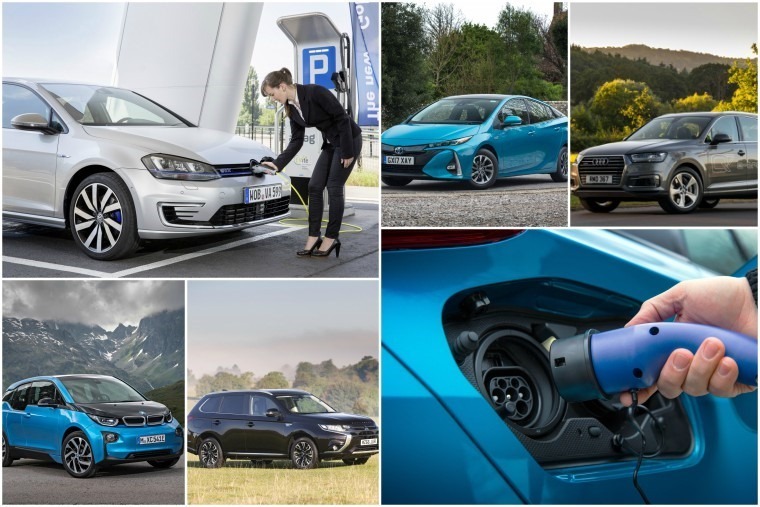 David Martell, chief executive of Chargemaster, commented: “While the trial has proved that the benefits can outweigh that of diesel and petrol vehicles at certain annual mileages, driver suitability remains key. The environmental benefits were also compelling. 145,000 miles were covered by drivers over the course of the trial. Across the final 68,000 miles, over 50% of journeys were found to be completed in ‘engine off mode’ in which the petrol engine was disengaged. ALD calculated a total reduction in CO2 emissions of 14.8 tonnes across the PHEV fleet versus the diesel equivalent. Commenting on the trial, Robert Llewellyn, electric vehicle enthusiast and founder of the ‘Fully Charged Show’, said: “I’ve been an advocate of electric vehicles for personal use for some time now. ALD’s landmark trial reveals how such vehicles can actually make a practical, low-cost alternative to standard petrol and diesel models for company car drivers who are likely do the most driving of us all.